Driftwood and redwood burl table built from salvaged old growth redwood burl wood. Also, the center support is redwood driftwood. This artistic yet functional natural wood table built from a salvaged old growth redwood. This rugged organic root is hollow allowing for accent lighting in this natural wood table. Our furniture makers use wood species such as Black Walnut, Oak, and Maple. These are common woods available at lumber yard around the world. We also use exotic burl wood, highly figured Claro Walnut, and old growth redwood burl. Our live edge wood ethically sourced from the Pacific Northwest. In doing so what some may view as imperfection such as knot, bark intrusions, checks, and holes. With our minimalistic furniture designs, we are able to bring out the woods natural beauty. Wood and metal are celebrated in this custom Redwood live edge table. Hand forged metal legs are married with Old growth redwood wood slabs. 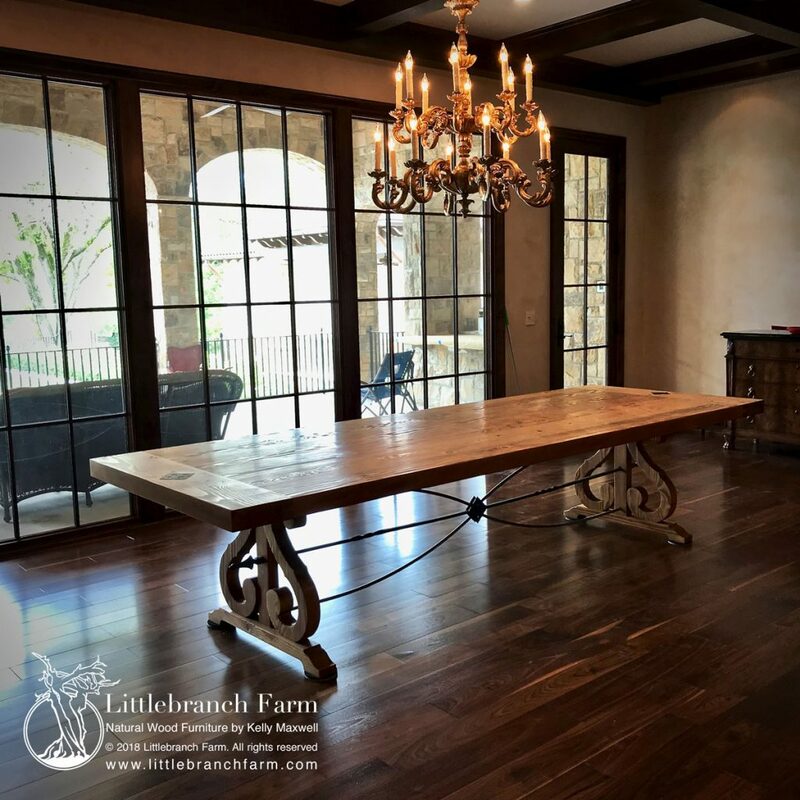 This is a rustic style 10′ communal dining table with matching benches. Custom wood table handmade from wood planks. This 10′ by 4′ wood dining table features trestle style metal and wood base. The hour glass metal work is capped by elegant woodwork. Whether your taste is modern or a rustic home decor real wood furniture is a must. With the easiest way is a natural wood table. Wood tables such a coffee table, dining table, and sofa table will quickly bring warmth and balance to a room. 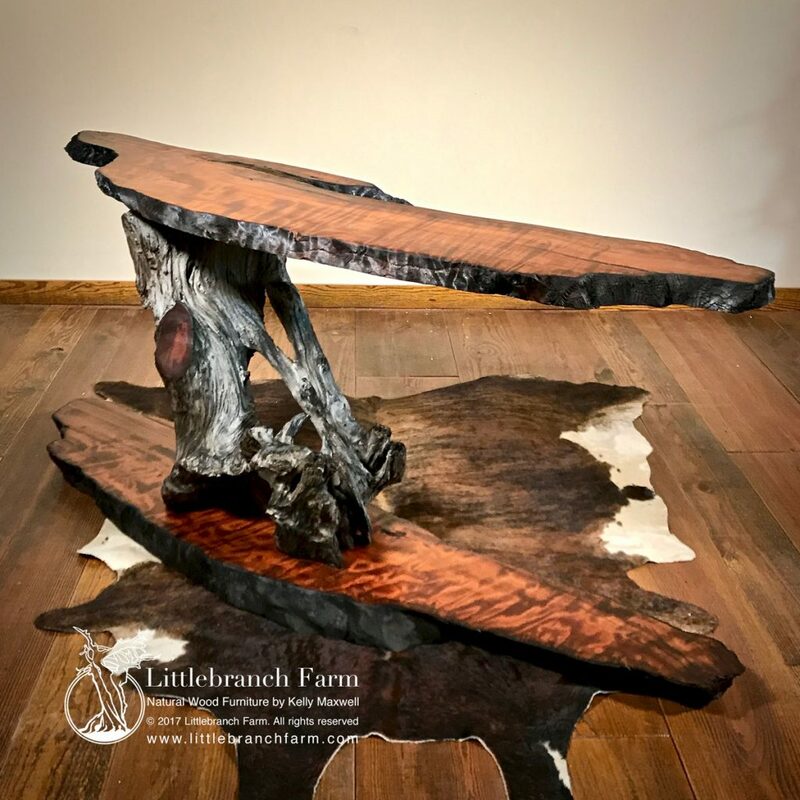 A live edge table will highlight the majestic beauty of a tree in nature. Allowing a glimpse into the heart of the tree. Reclaimed wood and wood plack style wood tables commonly mass-produced. 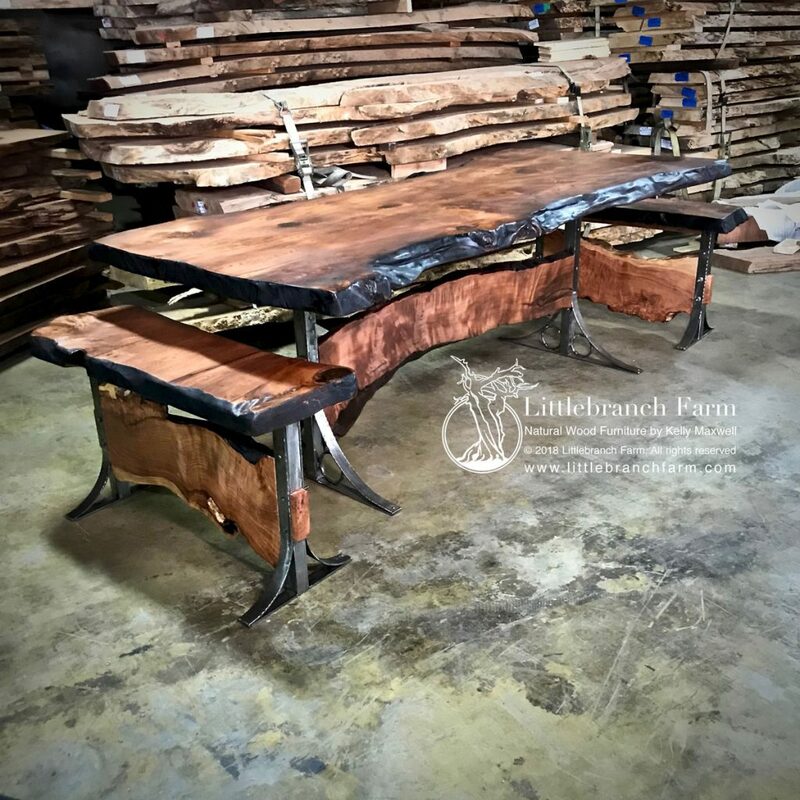 Although live edge wood tables and wood slab tables find their roots in custom wood furniture studio. 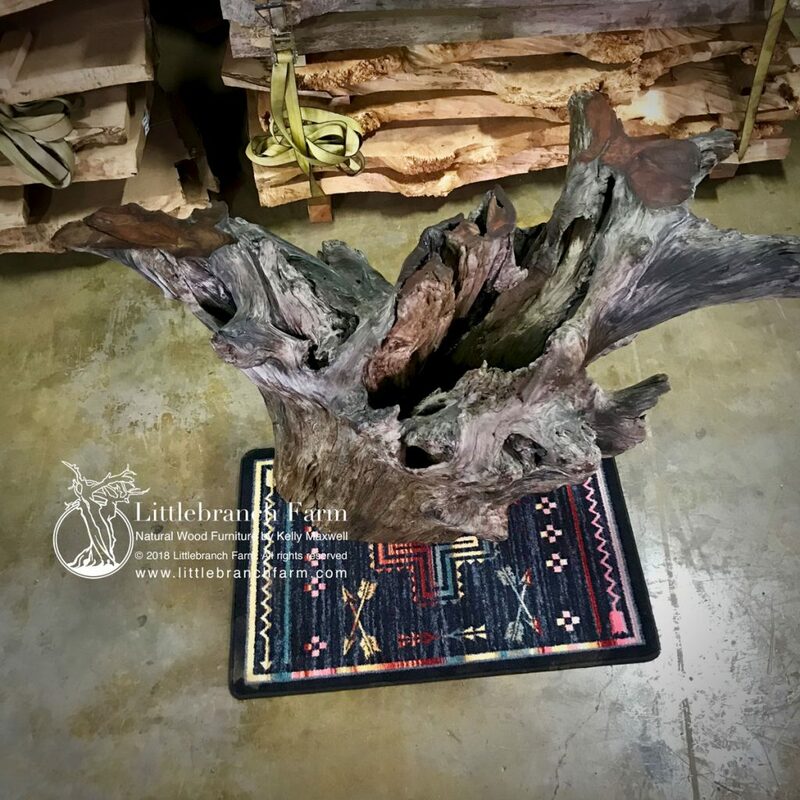 Live edge wood also known as natural edge and raw edge finds its roots in rustic furniture. Natural wood furniture and rustic furniture are like peas in a pod in many ways depending on the furniture design. Rustic home decor with wood furniture. Featured is a rustic modern coffee table made from a natural edge maple wood slab. 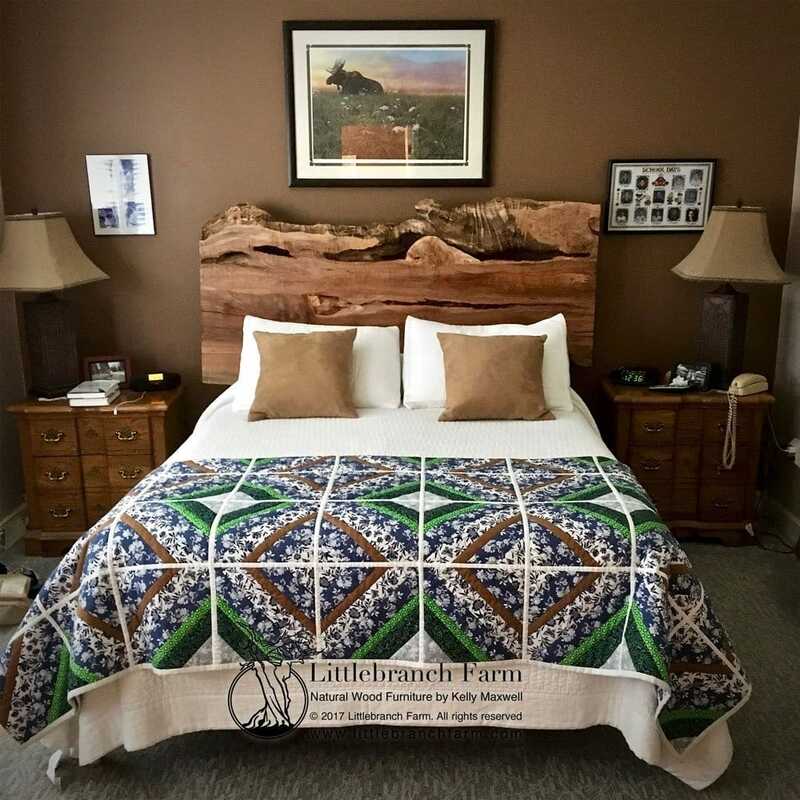 Many handmade natural wood beds feature reclaimed wood plank. 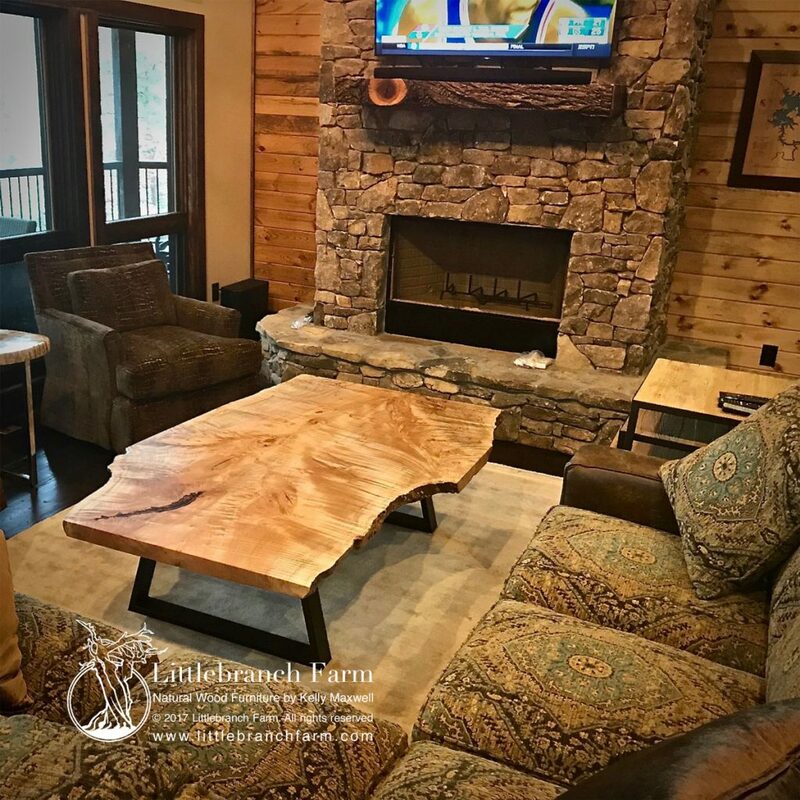 Although live edge and wood slabs have grown in popularity. 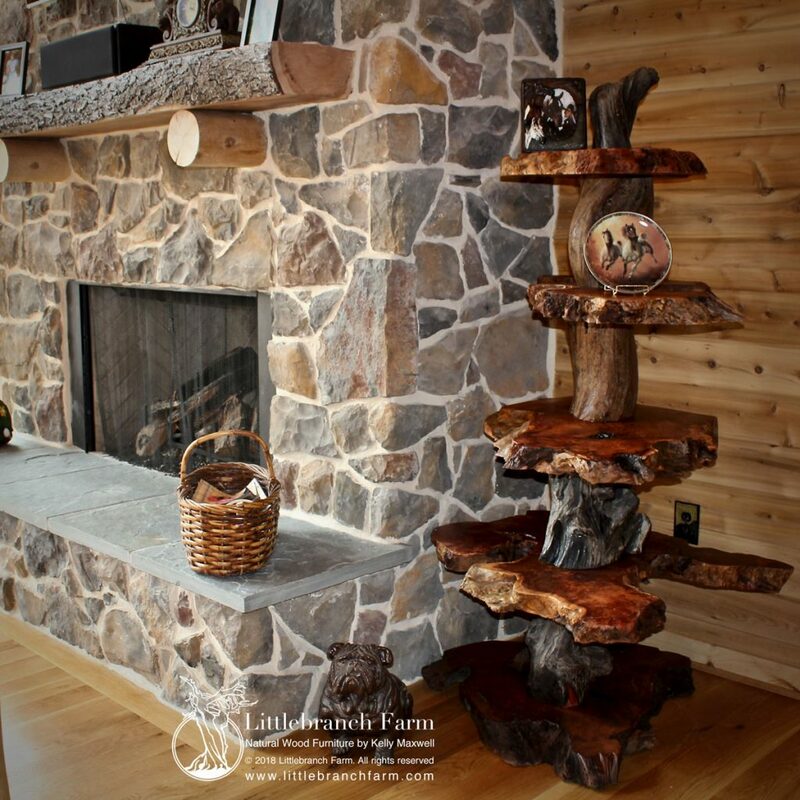 Once thought to only fit in a log cabin decor or rustic mountain home decor. This style wood bed is growing in popularity in other home decor designs. Whether a simple wood slab platform bed to a four poster burl wood bed the option a limitless. 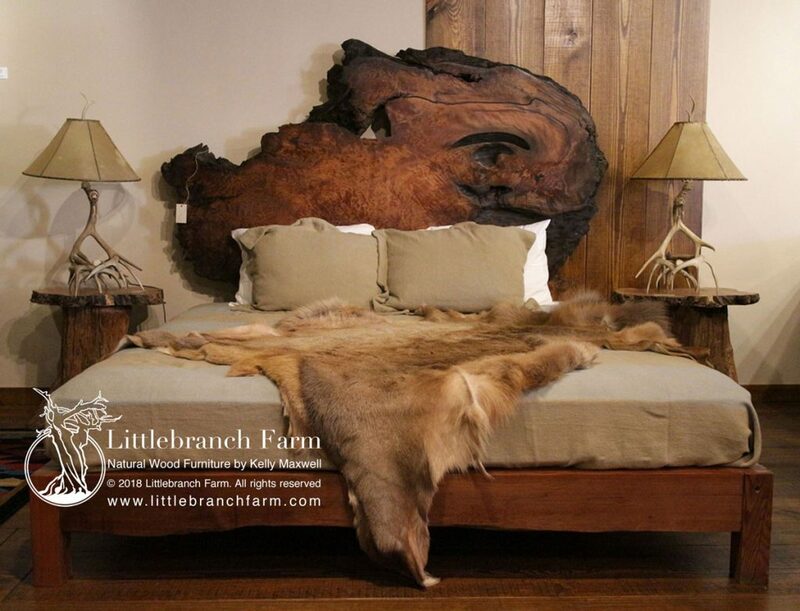 Custom live edge wood platform bed with Big leaf Maple wood slab headboard. Redwood burl wood platform bed. Rustic modern fireplace mantel made from live edge redwood wood slab. Featured in a modern home in Nashville, TN. 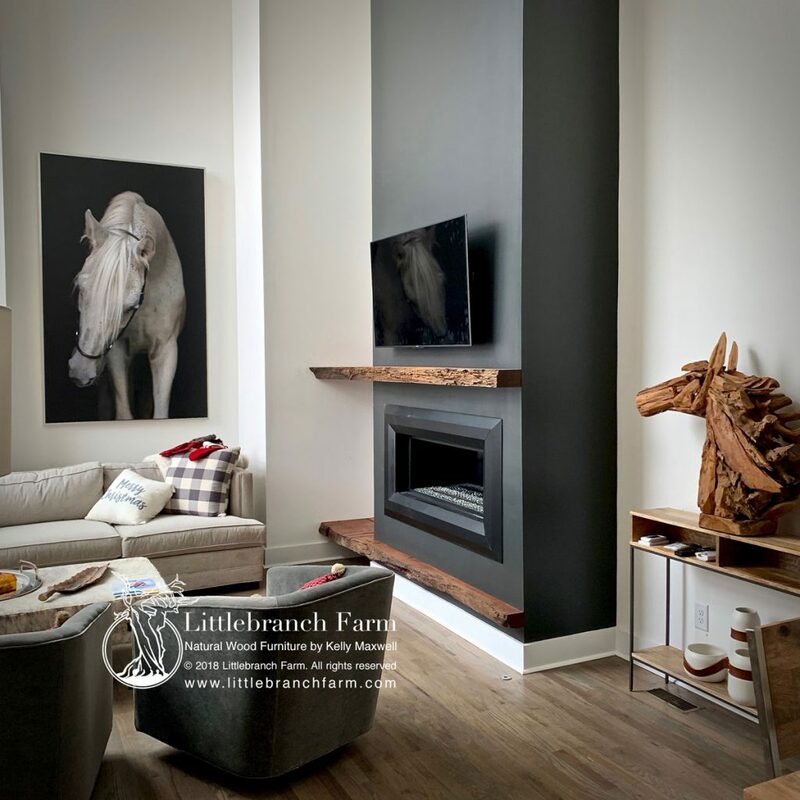 The perfect balance between modern and rustic home decor. No homes decor is complete without natural wood. This element is essential in creating a zen or calming atmosphere. By choosing a natural wood fireplace mantel along with a natural wood coffee table a stiff modern design becomes warm and inviting. Also, wood is available in many species and color tones use these to your advantage. The easiest and the best way to design with wood is to understand it. Such as Black walnut is not a true black it has a red to brownish red color tint. Be creative mix two or three wood species in the same spec you may be amazed. Research different wood species and the cost. Lumber and raw edge wood commonly sold by the board foot with prices based on species and wood grain. Burl wood typically not sold by the board foot but by the wood slab. So, be adventures and blend a little natural wood and rustic into your home decor.